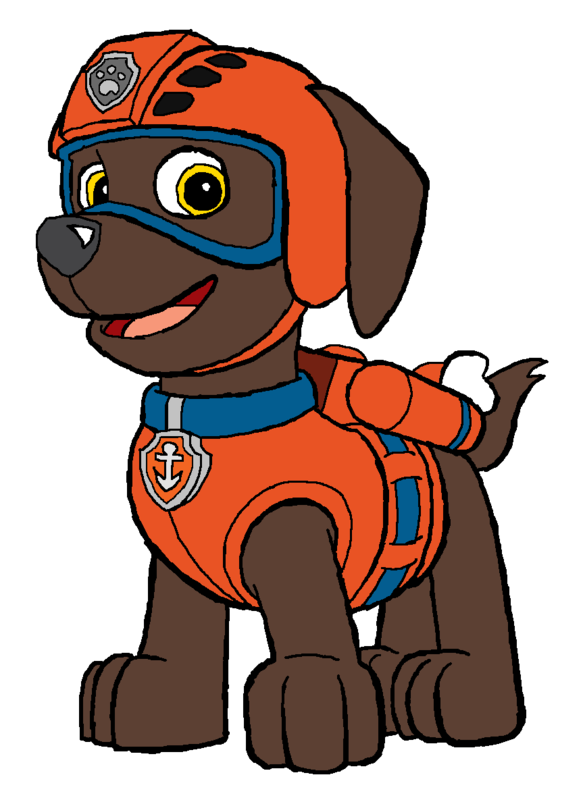 I can remember when Pound Puppies were all the rage and everyone had to have one. But they can’t be found and the love for puppies is still strong. But don’t fret because the little one’s now have some new awesome pups in town! 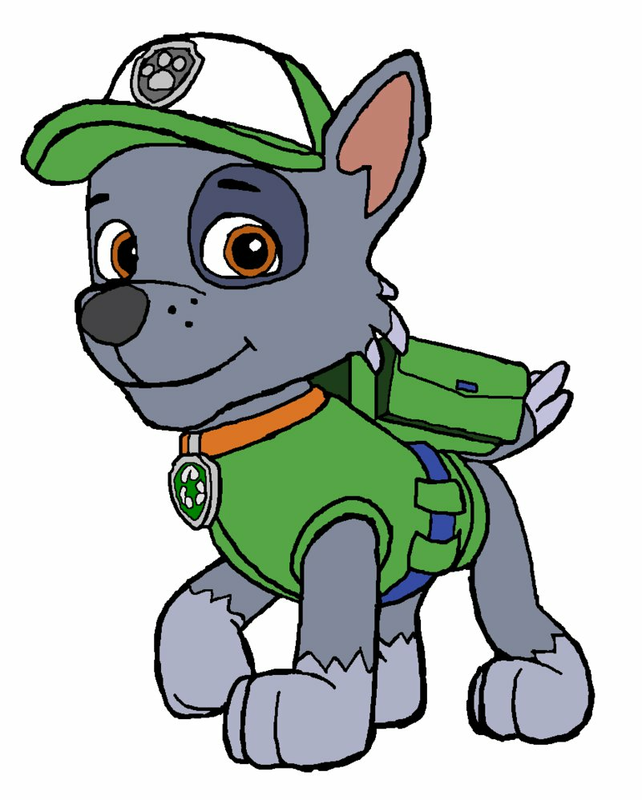 Paw Patrol is a show filled with cute puppies who serve a greater purpose and that purpose is to rescue! With their human counterpart Ryder all the pups can get anything done. 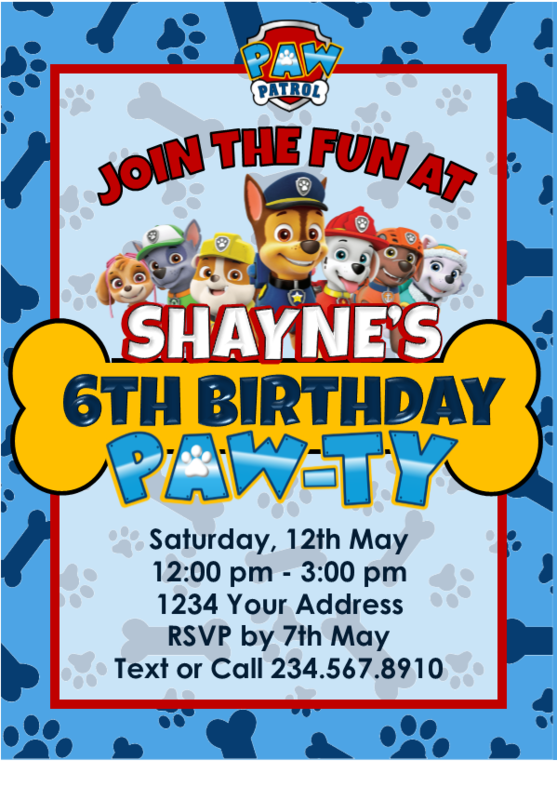 So if your little one has fallen for these cute little rescuers, then throwing a Paw Patrol party is a must! 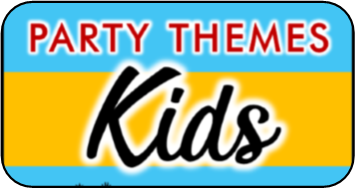 We have designed some fantastic printables and some undeniably fun games to get your party started right! 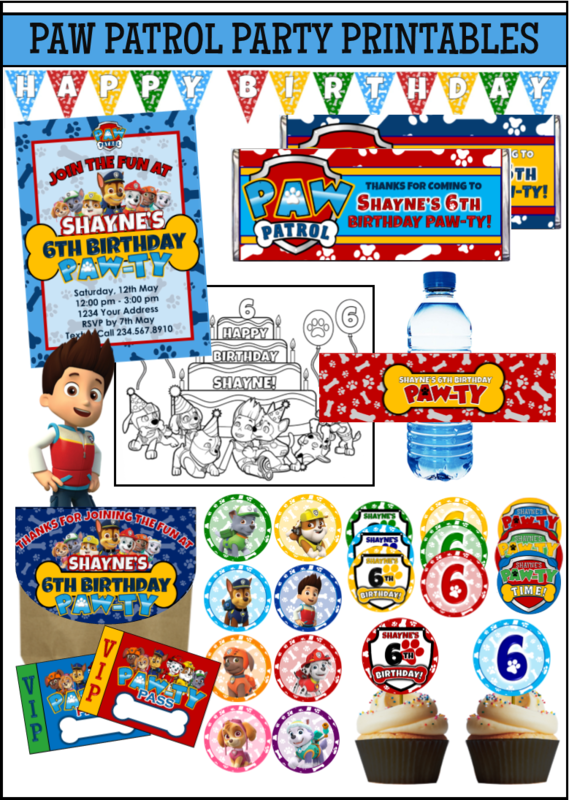 Don't forget to check out our Printable Paw Patrol Party Supplies! All you will need for this activity/game is a variety of clay and plastic knives for cutting. Place all of the clay and knives in the center of the table. Have all of the guests gather around and invite them to create their favorite character from the show out of clay. Once they all have their pup created they can use them to play. They can make up scenarios from the show or just pretend as much as they please. Depending on the clay that is used you can set them aside to dry and the guests can take them home as a party favor. You will need several Hula hoops, which can be found at most dollar stores. You will also need string to hang them from either trees or the ceiling, depending on where you are playing the game. Hang the hoops at different heights based on what the age range can handle. Have each child make a paper airplane using the You Tube link included. The children will take turns trying to fly their planes just like Skye. They will try to get them through each hoop. You can choose to reward those that manage to make it through all of the hoops or if they can make it through one hoop. 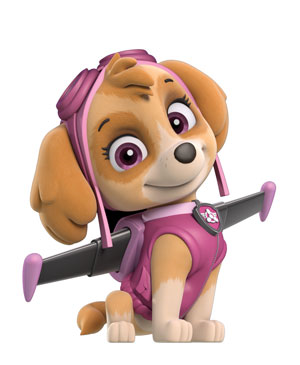 No matter what they will just be happy to fly like Skye. Rocky is big on using everything he can to come up with a solution to the problems that arise. This activity will give all of your guests an opportunity to use things we commonly throw away to help Rocky get down from a cliff. You will need t-shirt plastic bags (your average grocery bag), string, scissors, and something small to weigh down the parachutes. You can use small rocks or small plastic toys to use as weights. Cut out small squares (about 5”x5” or so) from the bags and cut holes in each corner of the squares. You will need four pieces of string about 4” each. Have the kids tie one string to each corner hole and attach the other ends to the object you chose to weigh down. Once the parachutes are done the kids can take turns standing on a chair and testing their parachutes to make sure they work. For this game you'll need a small tub with some water in it - you could even use your bathtub. You will also need some small figures, some magnets, a string, and a nail. Before the party you will need to super glue the magnets onto the figures (we used army men). You will also need to tie the string onto the nail - or anything metal that the magnet will stick to. Before you begin the game fill your tub with about 5 inches of water. spread the figures out across the bottom of the tub magnet side up. 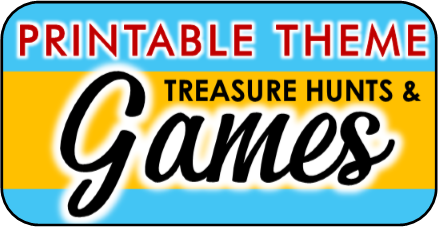 To play the game challenge each player to "rescue" as many of the figures as possible in 30 seconds (you can adjust the time to suit your needs). The player must use the string with nail attached to fish the figures out, they cannot put their hands into the water. Award prizes to whoever rescues the most, or perhaps one small piece of candy for every figure rescued! 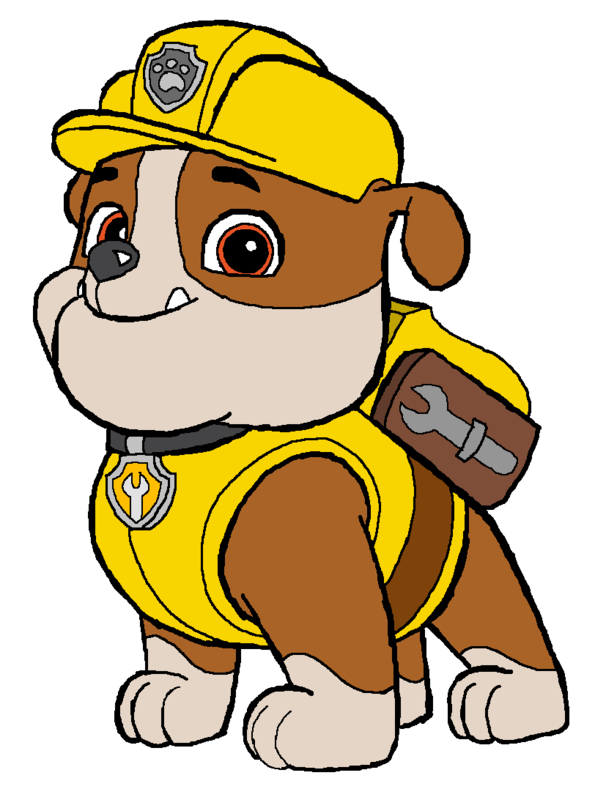 Rubble needs help loading rocks into his dump truck so he can get the job done. You will need cotton balls (rocks), a bowl, plastic spoons, a timer, and a dump truck. If you don’t have a dump truck you can just use an extra bowl. Fill the bowl with the rocks and place on the table. When the game begins the player will have to load the rocks into the dump truck using the spoon. They will be timed so they have to move as quickly as they can. They can only use one hand to do this. Once everyone has completed their turn the person with the fastest time wins the game. 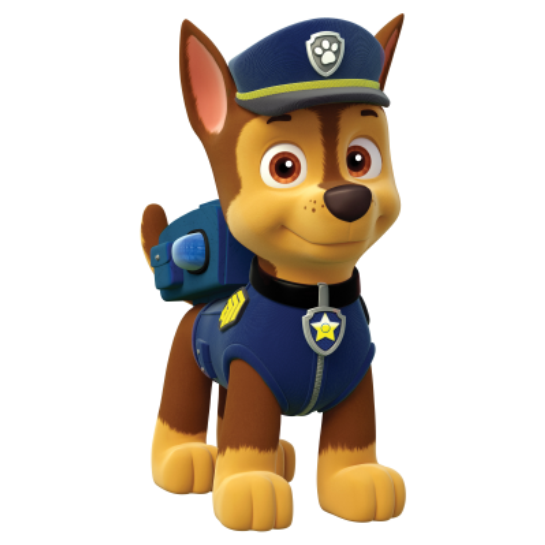 For this game you will need a print out a picture of Chase with his badge showing. You will need to print out several other badges for the kids to use for the game. You can make things a bit easier by writing the names of the players on each badge and place a piece of double sided tape on the back of each. Hang the picture of Chase on a wall and have a blindfold ready. Have the children line up about four feet from the Chase poster. Hand the first person in line their badge and place a blindfold on them. You can spin them in a circle if you like and let them walk to the poster and pin the badge on Chase. Leave the badges up each time. After everyone has played you will see who got the closest to the right spot on Chase. The winner gets a small prize. There is a big fire and Marshall needs everyone’s help to put it out. This game is best if played outside because it requires using water balloons and can get quite messy. You will need a table and to fill enough water balloons for each child to get at least three each. You will need three red solo cups and if you want things to look more like a fire you can print out flames and laminate them because they will get wet. Put the solo cup lip side down and tape the flames to the outside of the cups. Place the cups on the table on one side of the yard and the water balloons on the other side. Have the kid’s line up next to the balloons in a line. Give the first player in line a water balloon. They will get three tries to put out the fire by knocking down the cups with the balloons. 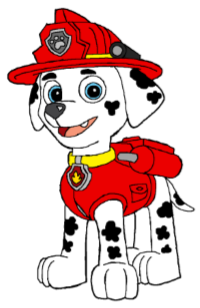 The ones to put out the fire win an honorary fireman’s hat, which can be found at most dollar stores. All of the pups have lost their rides and don’t know where to find them and Ryder needs everyone’s help. Now it is up to your guests to bring all of them back their rightful owners and quickly. 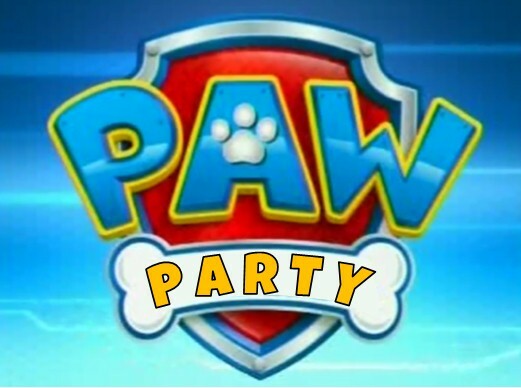 For this game you will need to print out a picture of each of the pups and a picture of their rides. There is a list below of each character and their ride to use as reference. Keep all of the pictures of the pups out and place them on a table. You will need to hide the pictures of the rides around the room. Depending on the age group you are dealing with you can do things to make them easier to find. For example you can tape some to the walls, lay one out on a table, one on a window, or hanging from a ceiling fan pull cord. Once all the vehicles have been collected they must match them up to the rightful owners. You can reward everyone with a small prize for their hard work! ORDER YOUR SET NOW $12.99!